So finds the eighth annual MBA Employment survey from Training The Street (TTS), a leading provider of instructor-led courses in accounting, asset management, capital markets, financial modeling, and corporate valuation training to Wall Street investment banks, federal government agencies, law firms, business schools, and top colleges. The largest and most profitable international banks remain a top employment choice for 19 percent of survey respondents, but that number reflects a 7 percent drop from 2016 and an all-time low in the history of the survey. Positions at startups are the top employment choice for only 5 percent of MBAs, a 2 percent drop from a year ago. Corporate recruiting efforts may play a part in MBA job preferences. The survey suggests banks have decreased their recruiting efforts this year. Forty-three percent of MBAs say they were approached by banks, a 6 percent drop from 2016. Banks continue to attract MBAs, but grads know they are not the only employment option. The survey points to another new trend: MBAs are increasingly looking for longer term fit in connection with the job search. More than half of MBAs polled, 58 percent, intend to stay at their next job for three to five years, which represents a 4 percent increase over last year. Meanwhile, 17 percent want a long-term role of more than five years, up 7 percent from 2016. “MBAs want to make sure the job they accept is going to be a good, long term fit. That’s a new dynamic for the competitive recruiting environment we traditionally see for MBAs. 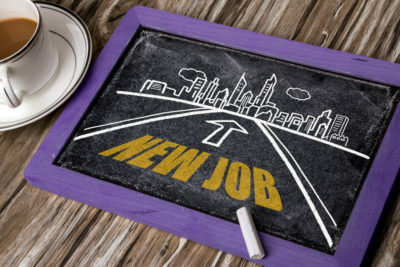 This also correlates with the finding that more are looking for that first job outside of Wall Street, a place known for sudden job moves, especially during the early stages of one’s career,” said Rostan. The survey also finds that more MBA graduates are satisfied with their job offers, and that compensation levels have increased over last year. Forty-eight percent say they are “very satisfied” with their employment offer, while 45 percent are “satisfied.” Only 7 percent are “dissatisfied,” compared to 11 percent last year. Starting salary undoubtedly impacts offer satisfaction. This year, 41 percent of those polled accepted offers with annualized base salaries of $125,000 or more, and 38 percent will earn between $100,000 and $125,000, which is a 3 percent increase for starting salaries in both categories. “Overall, newer trends are emerging in MBAs’ salary expectations and career goals that contrasts with what we’ve seen in recent history. The increased level of satisfaction with job offers and the drop in those blown away or disappointed in their salaries indicates that expectations are being tempered. Along with the increase in those looking for longer term job opportunities, we are seeing a different job market for MBAs that is now more conservative yet strong,” said Rostan. Ninety-two percent of respondents say they prefer to work in the United States, up 7 percent from 2016. New York is the top choice for 39 percent of MBAs, down 9 percent from last year. Fifty-four percent of MBAs say they found their job through on campus interviews, 25 percent found a job through an independent job search, and personal references helped 10 percent secure a job. Interpersonal skills/teamwork is the most important skill needed to receive an employment offer, according to 42 percent of respondents, followed by industry expertise (15 percent), and communication (13 percent).